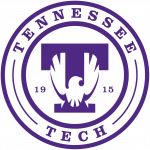 Have you ever really looked at the official University seal for Tennessee Tech? Chances are, if you are like most of us, you have glanced at it on occasion but never really considered the relevance of its symbolism. One of the more subtle, yet nevertheless intriguing, elements in the seal is the outline of the state of Tennessee with a star signifying the location of Tennessee Tech. Interestingly, TTU is almost equidistant between the two most extreme corners of our beloved state. This may have been coincidental to our founding fathers, but for Tennessee’s only technological university, our location seems not only appropriate but quite fortuitous. 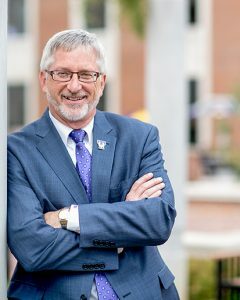 By location, mission, vision and name itself, Tennessee Technological University has been designated and challenged to serve the entire state of Tennessee from Memphis to Mountain City. This challenge is greater and more relevant than ever due to the ever-increasing demand for technological expertise in every community across the state to enable Tennesseans to compete for jobs in a worldwide economy. This means that it is no longer sufficient to simply welcome everyone to our beautiful Cookeville campus. To achieve our statewide mission, we are now compelled to create new opportunities, taking our signature programs throughout the state to the greatest extent possible. If we don’t, someone else most certainly will. Some of our statewide effort is well established already with existing 2+2 programs in McMinnville, Crossville, Chattanooga, Lynchburg, Oak Ridge, Knoxville, Harriman and Oneida. Additionally, we have recently entered into partnership with East Tennessee State University to offer an engineering program in the tri-cities and are currently requesting approval to offer the doctorate in nursing practice jointly with ETSU. It is clear that our footprint must continue to expand geographically as we also explore new creative opportunities to deliver more STEM programs and provide technological assistance to communities throughout Tennessee. Opportunities are plentiful with many potential partners who are eager to work with us. However, not every opportunity that pops up is ready for primetime. 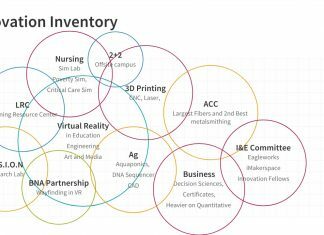 So we will continue to explore, evaluate and test these opportunities with all due diligence as they come along to fulfill our mission as Tennessee’s technological university. In general, these opportunities neither change who we are nor what we do. They simply provide us a bigger stage on which to perform. A few exciting possibilities are currently under consideration.  We hope to share more information with everyone in the near future as those projects progress. Late this afternoon, we anticipate TBR approval of a partnership that impacts the entire region. Every faculty and staff member will receive the announcement through a TTUNews email as soon as the TBR releases the information.